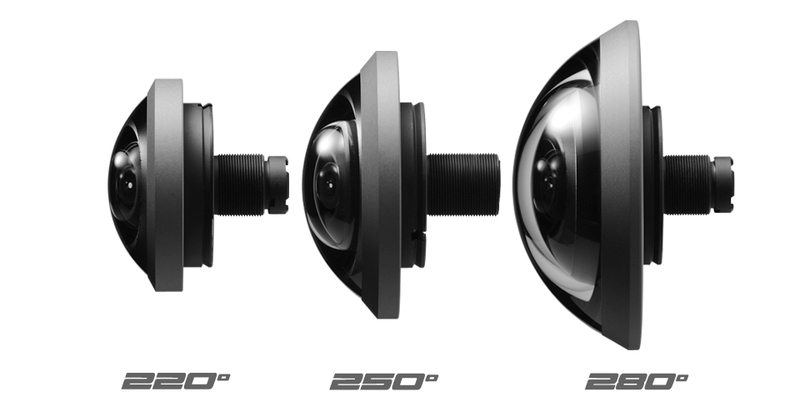 ﻿The Entaniya 280° Fisheye Lens is designed for use with Ribcage Modified GoPro cameras, delivering a 280° (horizontal) x 280° (vertical) angle of view on the GoPro's 1/2.3" sensor. By outfitting modified GoPro cameras with such a wide-angle lens, you are able to create 360° video and stills using fewer cameras, letting you reduce the size and complexity of your rig and simplify the stitching processes. The lens includes a CS mount adapter, IR cut filter, bolts, and an Allen wrench. because it takes photographs beyond it's field of vision. 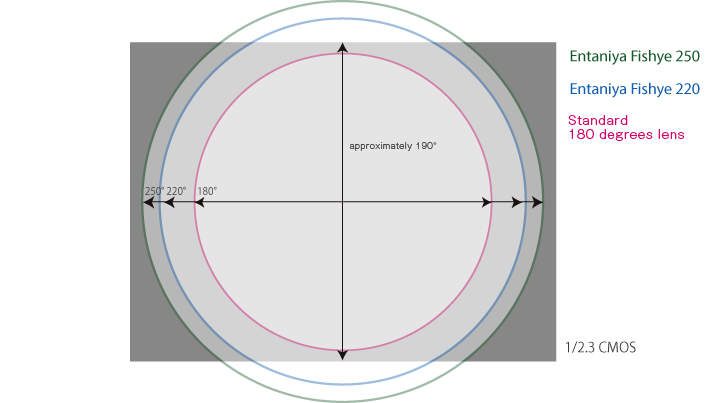 The aspects of photography by 1/2.3 CMOS.